The Celtic media owner's acquisitions saw it move into print and take some of radio's top honours. UTV (it became UTV Media later in 2007) had made a couple of merger proposals to its fellow Celtic fringe media owner, SMG, in 2006. Talks break down irretrievably in March 2007 - with SMG pursuing ambitious plans to become a national UK media owner. However, over the next couple of years, as SMG's plans unravel, it's UTV Media that makes more solid and sustainable progress. May 2009: UTV Media's biggest asset outside of Ulster Television had (since 2005) been the national radio brand, talkSPORT, run by the divisional director, Scott Taunton. 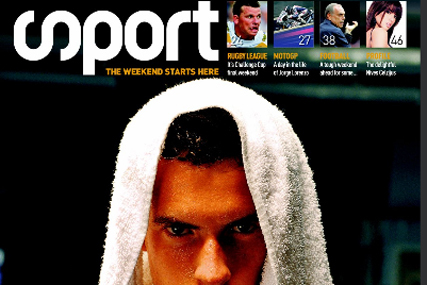 Now the group moves into print, with the acquisition of the free weekly magazine, Sport. March 2011: The group had been weathering the downturn. Pre-tax profits in 2009 were £18.1 million - down 12.6 per cent year on year, but profits nonetheless. Its finances improve in the first half of 2010, thanks to cashing in on the Fifa World Cup; but by the end of the year, it was warning that the outlook was cloudy once more. In its annual results, released in March 2011, although underlying performance is robust, the group records a loss. April 2011: UTV Media reveals it is in the running to buy Absolute Radio from TIML. The radio theme continues when talkSPORT is voted Station of the Year at The Sony Radio Academy awards and its programme director, Moz Dee wins Programmer of the Year. May 2011: Now it reveals, in a financial update, that revenue has been increasing across the first four months of 2011 - up 3 per cent year on year. Radio is leading the way, up 4 per cent as against a 2 per cent decline across the whole UK radio market. The group warns, however, that revenues will be down year-on-year in May and June, thanks largely to comparisons with last year's World Cup bonanza. Fast forward: January 2012 And the group's quietly effective progress is underlined when it emerges that it is front runner to acquire STV Group - the successor company to SMG, now shorn of its non-TV assets. "What goes around comes around," is what the UTV Media chief executive, John McCann, refrains from saying - though he does seem to be rather pleased. The enlarged group is to be called Ulster Scottish.